If you’re new to freelancing or have just begun your journey, you may still be wondering who your clients actually are. Before I began my career, I assumed a freelance health writer’s clients were only magazines and newspapers. How wrong I was! While getting articles published in magazines and newspapers is a great notch on your belt, this practice alone won’t sustain your freelance health writing business. Even the pitching process of magazine writing is time-intensive, stressful and laborious – and that’s before you get to writing the actual article! Thankfully, there are plenty of other types of clients and writing projects that will keep you busy and sustain your freelance health writing business. Today, I’m going to break it down simply. As a freelance health writer, your clients are any person, brand or business who requires any sort of health or medical-related content. The scope is fairly massive – particularly because there are so many new health-related businesses and websites starting up all time – as well as existing ones. And they all need high-quality content. Again, I seem to be on a mission to dispel the common misconception that freelance health writers only write feature articles. If you’re dabbling in writing here and there, as opposed to running a successful business, then yes – you may only need to rely on feature article writing. How can health writers broaden their experience? Most freelance health writers learn new types of writing along the journey. However, if you get asked to write blog content and you’ve never written a blog before, you’ll want to be certain that you can deliver on the client’s requirements. At the same time, you don’t want to hinder your prospects by only sticking with what you know. 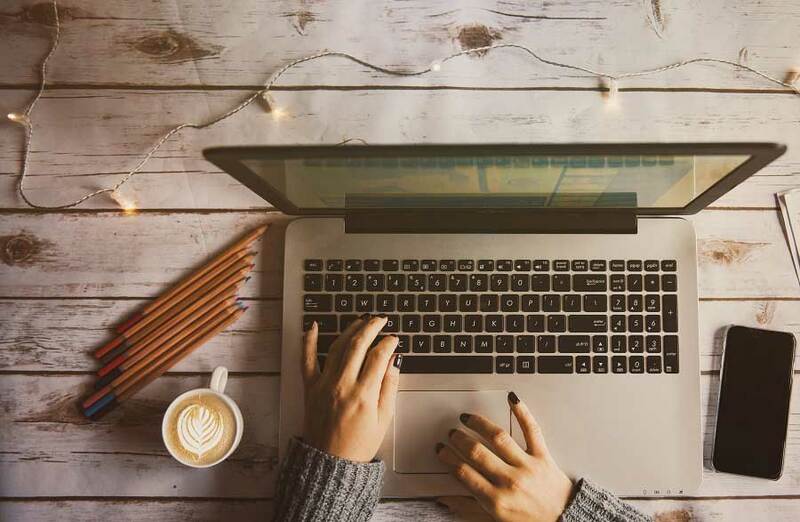 Consider upskilling in new forms of content to grow your freelance offering – you can get started by reading a variety of free online advice or taking an online course until you feel confident enough to expand on the types of writing services you offer. How do health writers find clients? There are many methods you can use to connect with clients when you’re starting out. Networking, word of mouth, cold-calling, offering in-kind services and ensuring you have a strong online presence are just some of the many ways you can start to grow your freelance health writing client portfolio. Finding clients is also very much about encouraging them to find you. Also, check out this article about an experienced freelancer’s guide to finding clients. Do health writers only work for local clients? In short, no. Something else that’s wonderful about freelancing is that you’re not limited to your local area. You can work for anyone, from anywhere. I’ve worked for clients based in the US, UK and Europe. I’ve mentored people who have had clients based in Singapore and around the world. Right now, two of my clients are based in the US, one is in the UK and another is in Melbourne. Similarly, if I moved interstate or overseas, I’d still continue to work for my clients. Location is not a barrier! Remember, the clients and projects I’ve listed aren’t exhaustive. There are no “rules” when it comes to who you can work for and the type of work that you can do as a freelance health writer. Have you worked for any other clients types or completed any projects that aren’t in my list? Share your comments below. Hi Michelle. This is a great compilation of prospective clients. Thank you for doing the research and sharing it. As a health writer, I often write for philanthropy professionals at health care systems. This is one example of a niche within health care that writers can explore. There’s a technique to this type of writing, it’s gentle persuasion coupled with facts about the need that motivate people to donate to the cause. Hi Liz, that is a great tip! I haven’t worked for those clients but they are definitely a great option for health writers. Thanks for reading and sharing your comments.